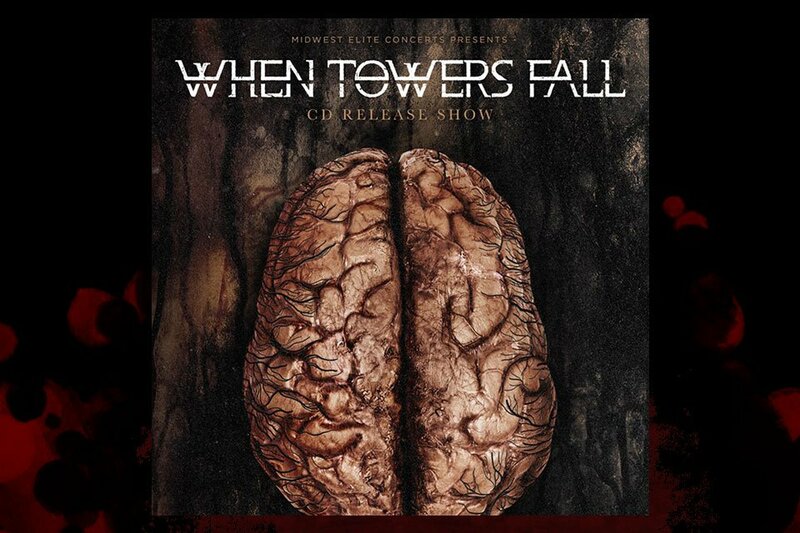 When Towers Fall "The Mind Immoral" Release Party | Badass Concert | Heavy Metal Music News | So METAL, we piss RUST! When I interviewed Derrek Sammons of When Towers Fall back in December, he said the band was recording their new album, and that they had completed 63 of 83 steps in that process. Well, it looks like they have come quite a bit further since then, because WTF is gearing up to release their new album, The Mind Immoral, next month! The party takes place on August 14th at the Waiting Room Lounge in Omaha. We Be Lions, The Matador, and MurderHouse will be rounding out the bill. In addition to this being a CD release party for the WTF boys, it is also the debut performance of MurderHouse, a new Omaha band featuring former members of Break Maiden, Furiosity, and Black on High. RSVP and get tickets to the show here. When Towers Fall was kind enough to send “The Dance,” a track from The Mind Immoral, for us to share with you! I’ve been listening to it repeatedly over the last few days, and the vocal melody hasn’t really left the space between my ears. I love how it starts out with an intense vocal delivery backed up by a play-all-the-notes riff. This song is chock full of tastiness, but the part that really stirs my nethers is when the clean-guitar-driven bridge starts after a very dramatic pause. But you don’t have to take my word for it, stream it here! If you’re wondering how you can get your hands on more of this hot new joint, let me give you the scoop. Pay your cover at the CD release on August 14th at the Waiting Room, and you will get a copy FOR FREE. Then, when you accidentally smash it in the pit, you can go online and buy it at any of the major digital music retailers. GET OUT AND PAY SOME COVER CHARGES F@#$ERS!!!! Previous articleSinFest IV Heavy Metal Culture Festival DETAILS and DIRT! Next articleCheck out MurderHouse’s first track “Reject”!